Get noticed with these pens with eye-catching coloured grips. 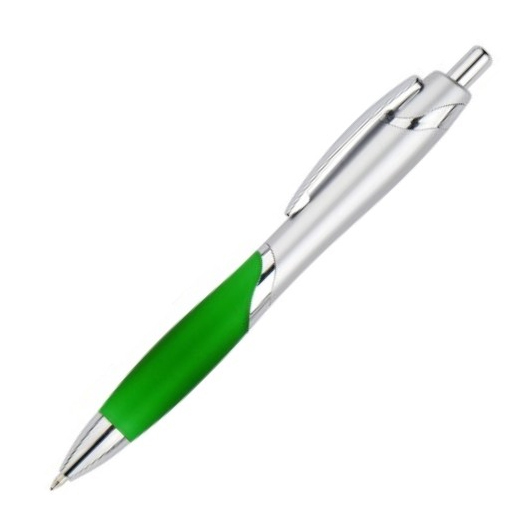 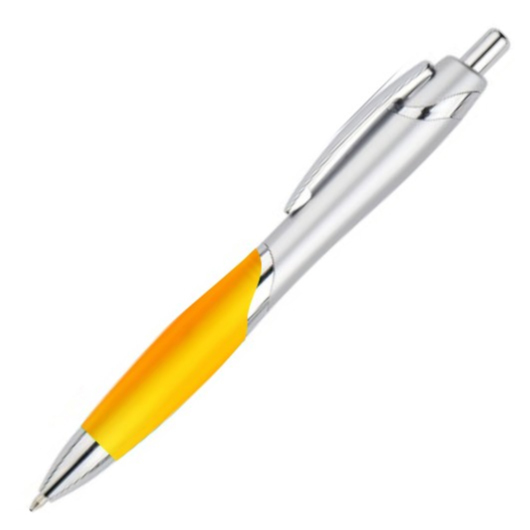 Put your logo into the spotlight with some of these attractive plastic pens. 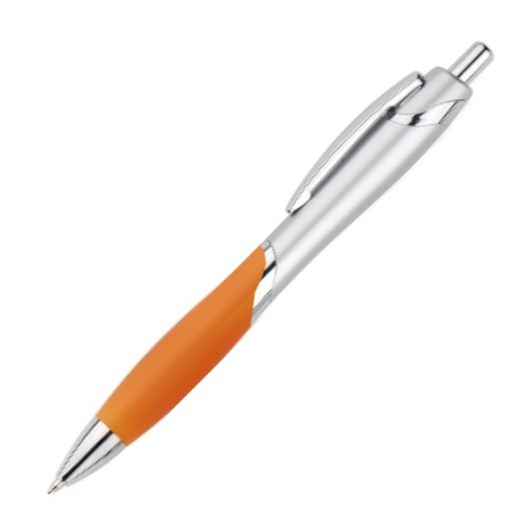 They feature a silver sprayed barrel, metal clip, shiny chrome trims and comfortable coloured rubber grip. 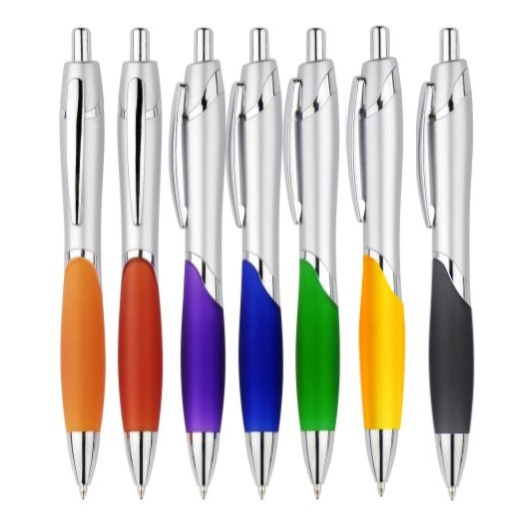 A great giveaway item for your next event, conference or trade show.